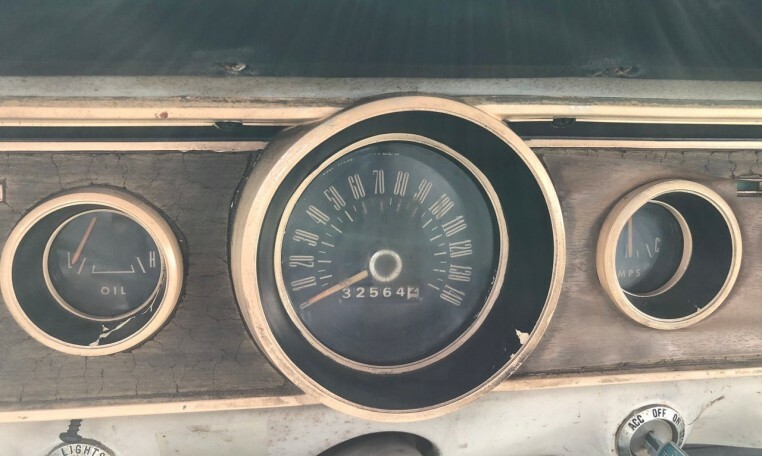 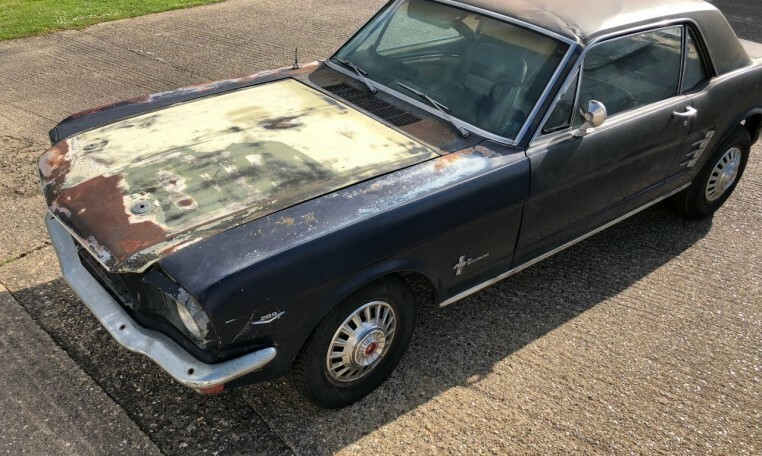 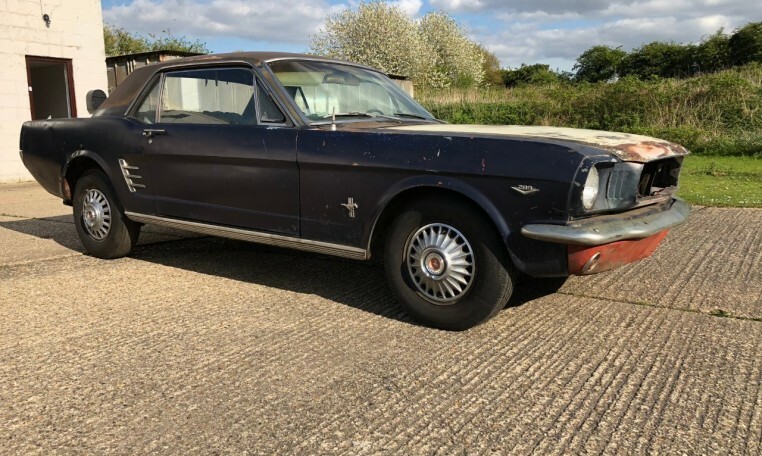 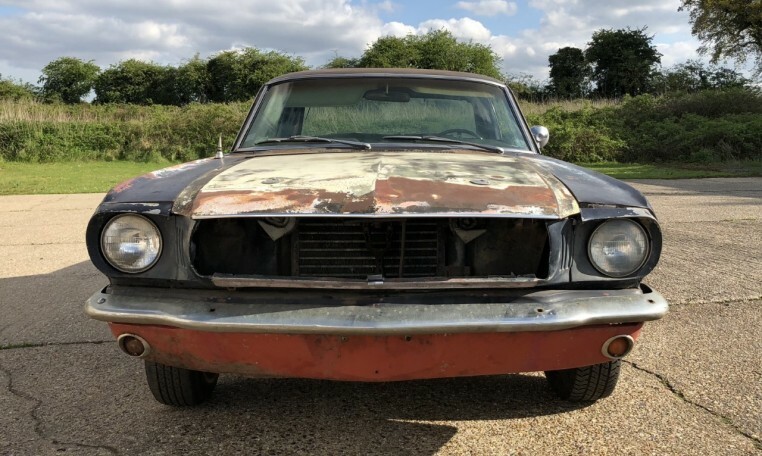 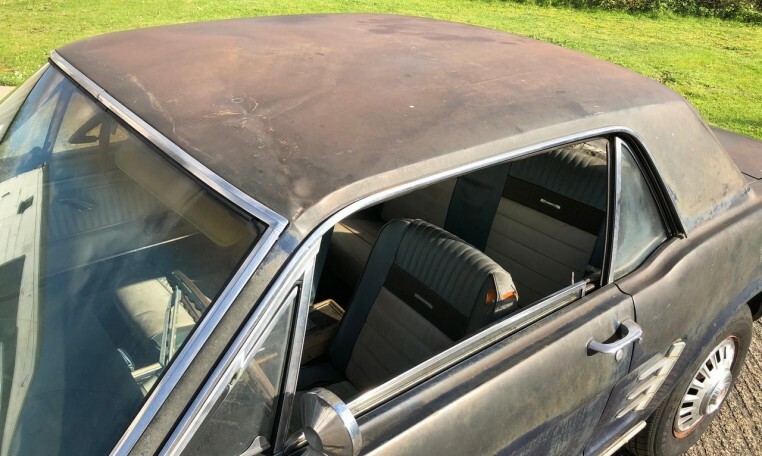 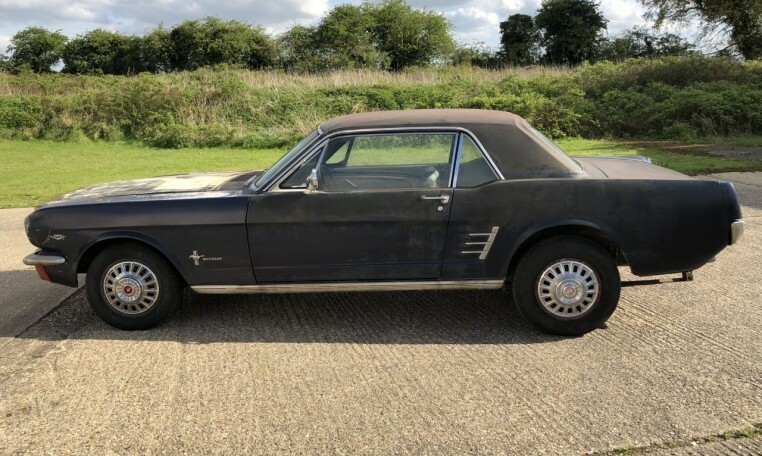 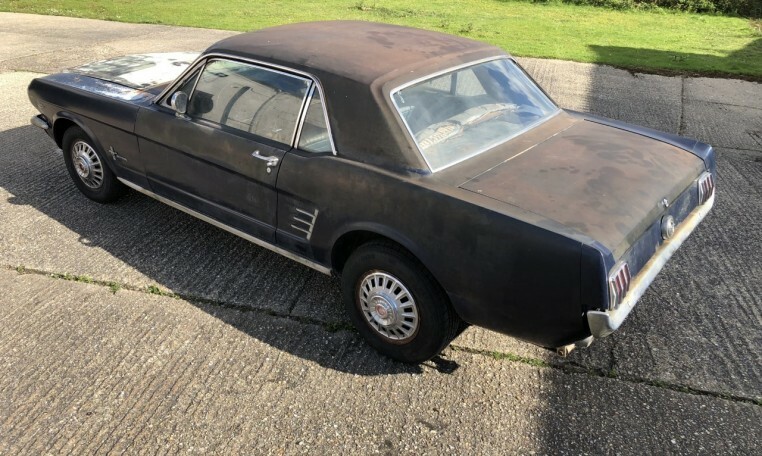 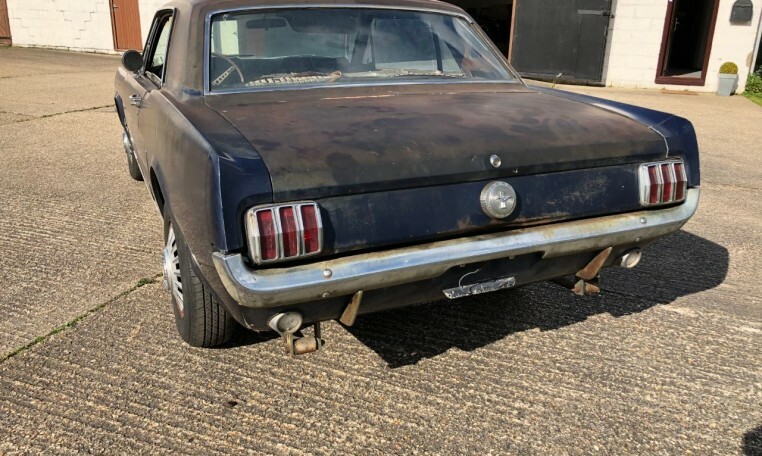 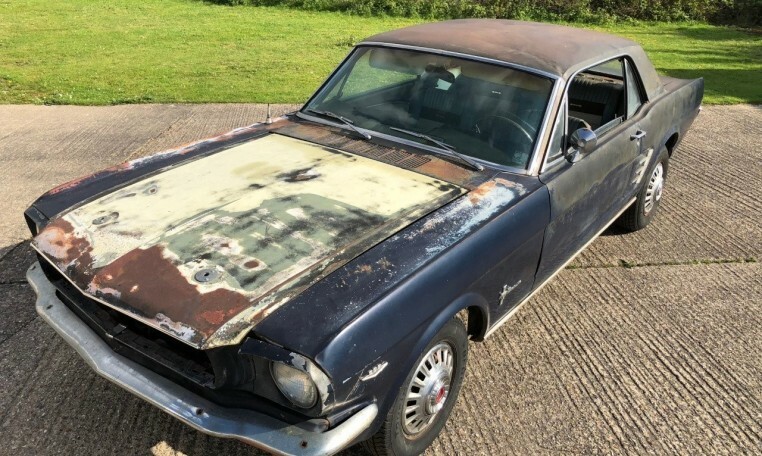 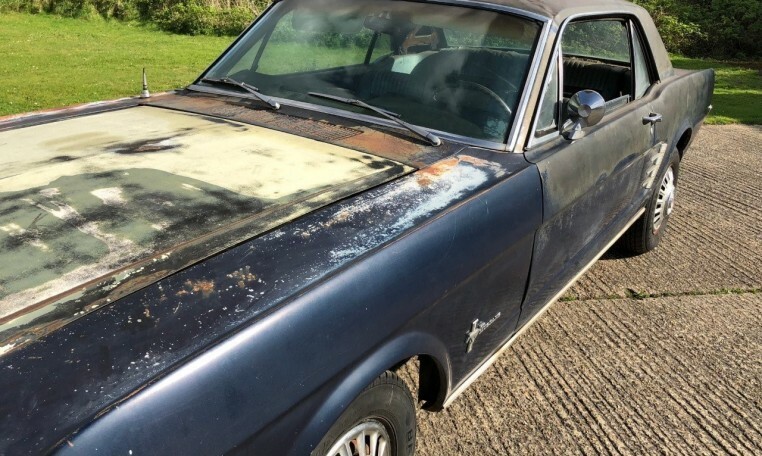 Offered for restoration is this completely original 1966 A Code 289 Mustang coupe. 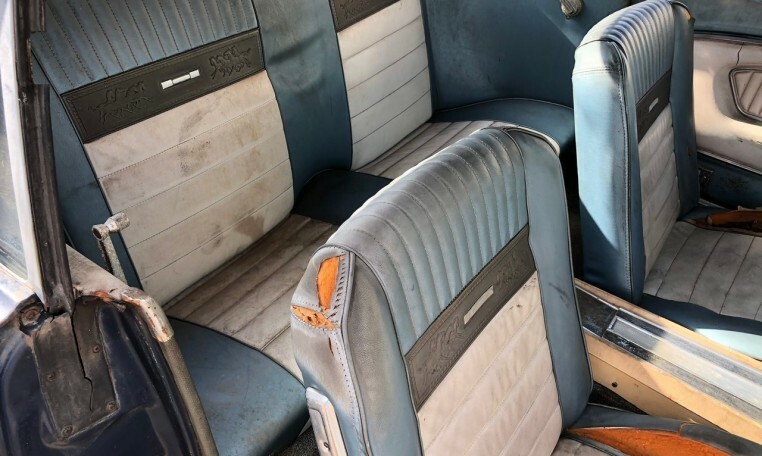 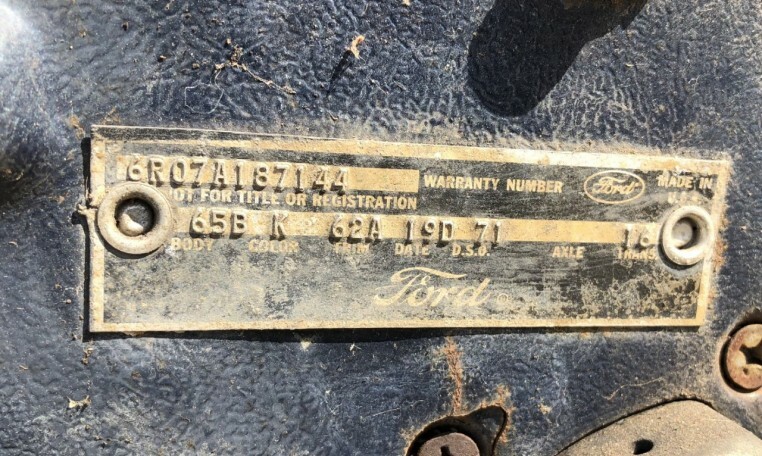 A California car, found showing 32,000 miles, having been stored for many years. 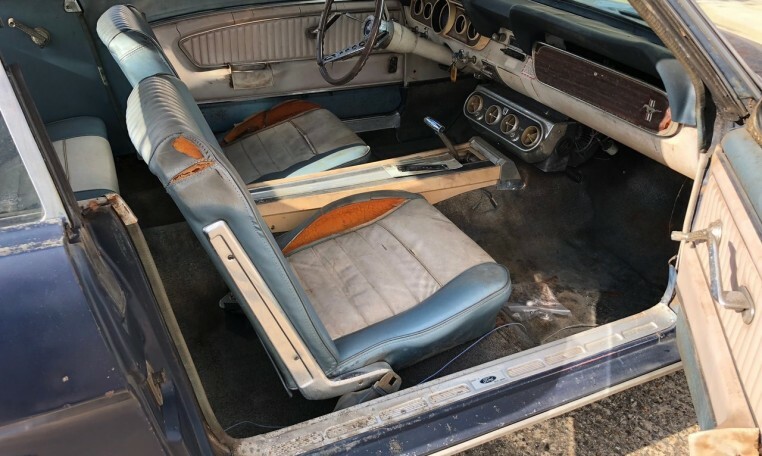 Manufactured April 19th 1966 at the San Jose plant in California & sold in L.A. 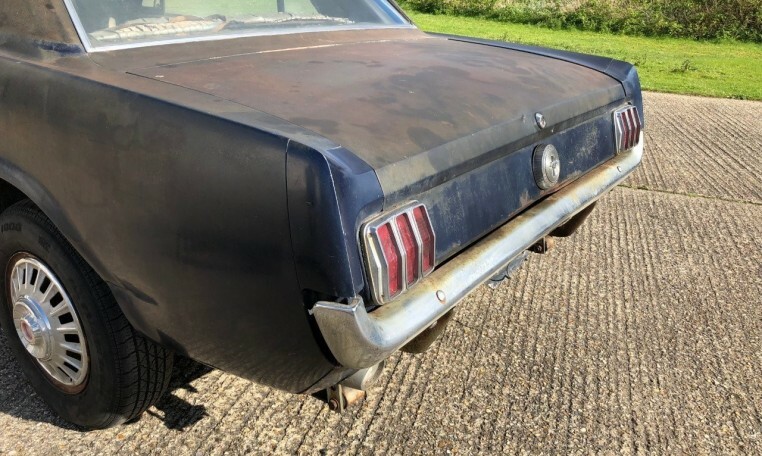 This Mustang is fitted with the factory ‘A’ code engine, so the 4 barrel 289 V8 with C4 Automatic transmission. 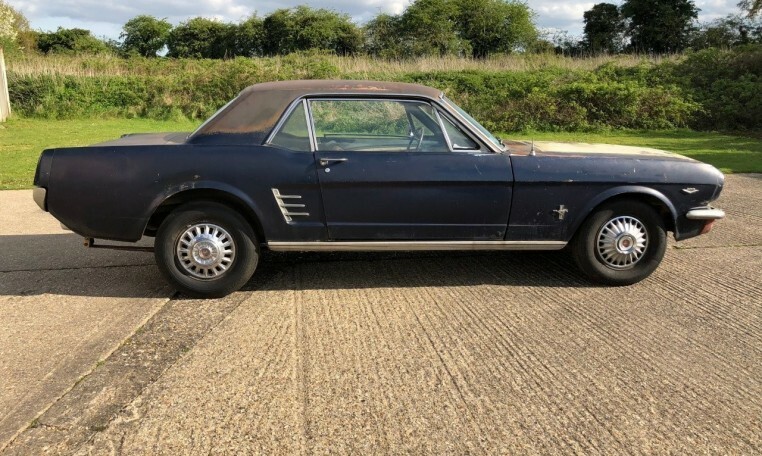 Finished in Nightmist Blue Metallic paint with the Blue & White Pony interior option. 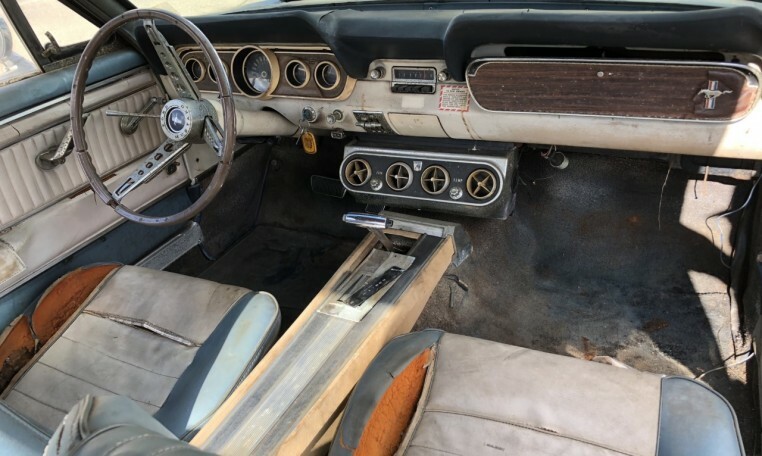 It also has factory air conditioning & deluxe wood grain steering wheel. 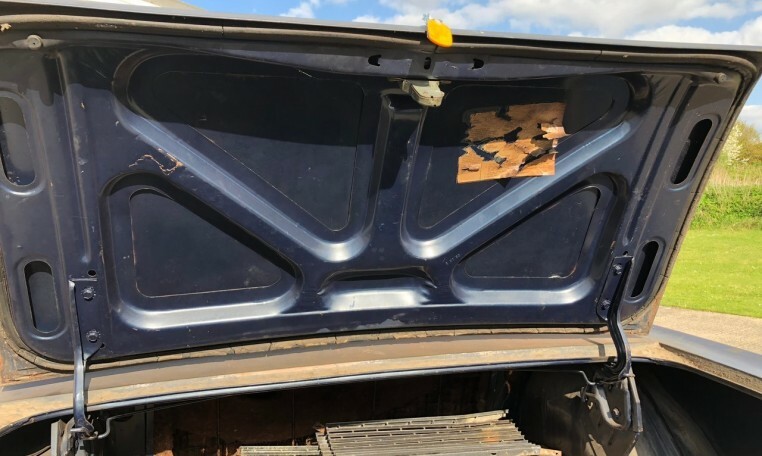 The car is still in (whats left of) the original paint with the original door tag & stickers in the boot still in place. 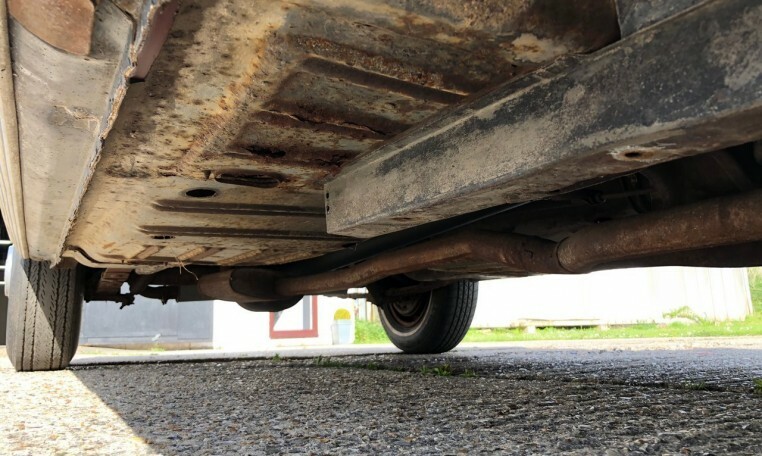 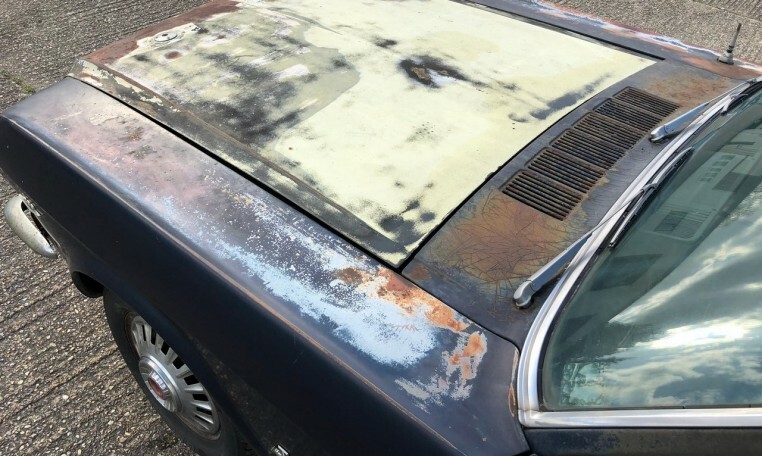 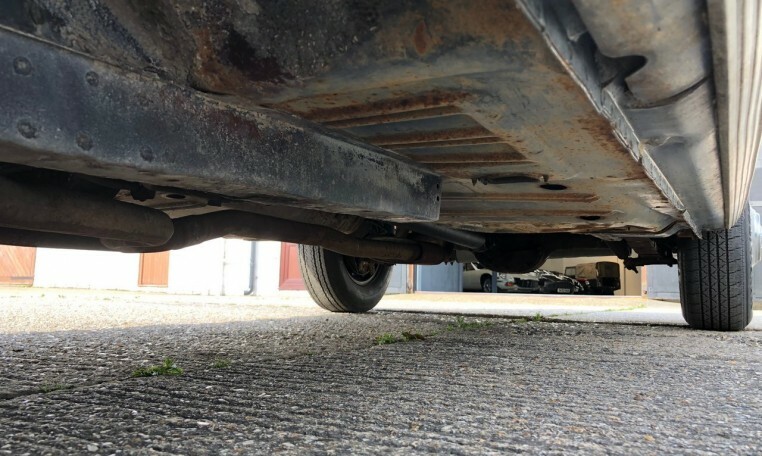 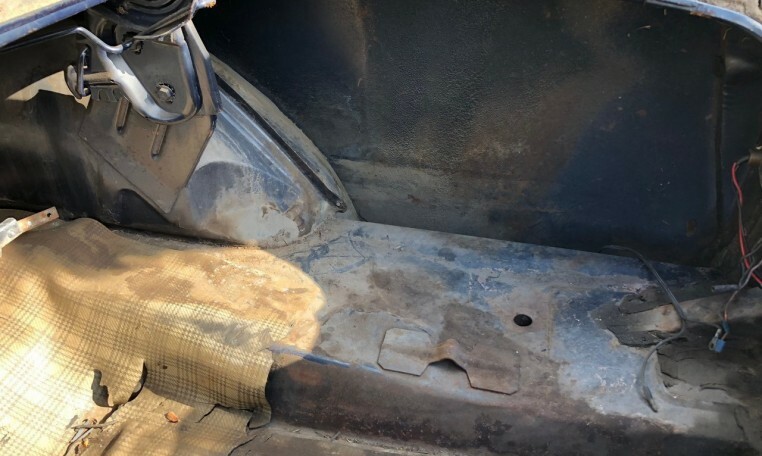 Apart from the surface rust the car is completely solid both in the body & chassis. 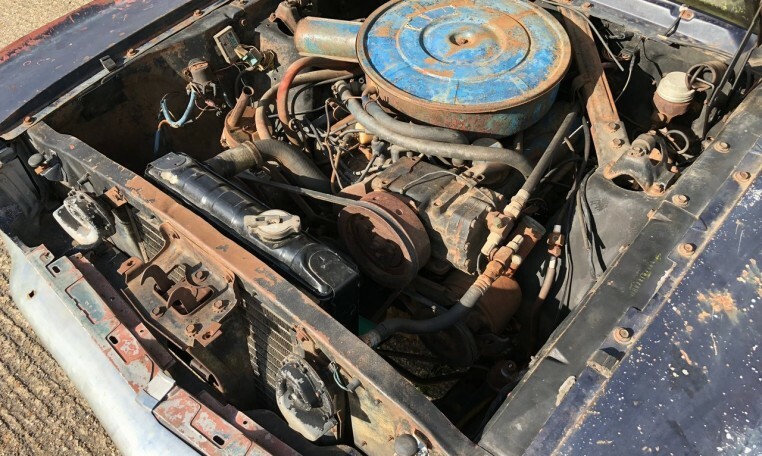 The engine is free & turns by hand. 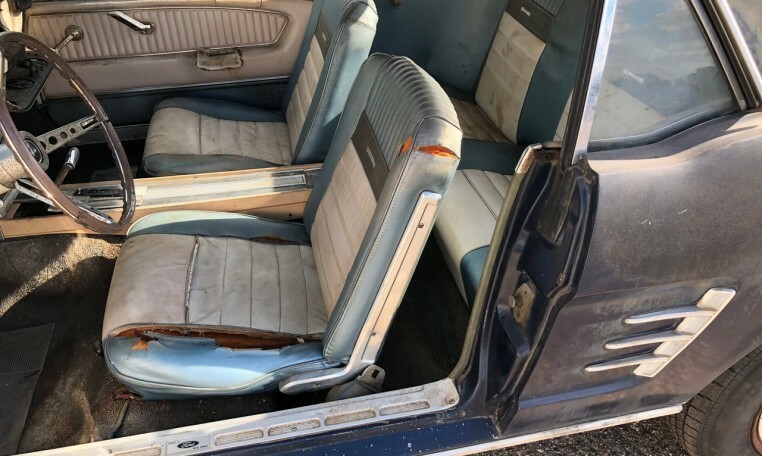 Cars as original as this are getting harder to find. 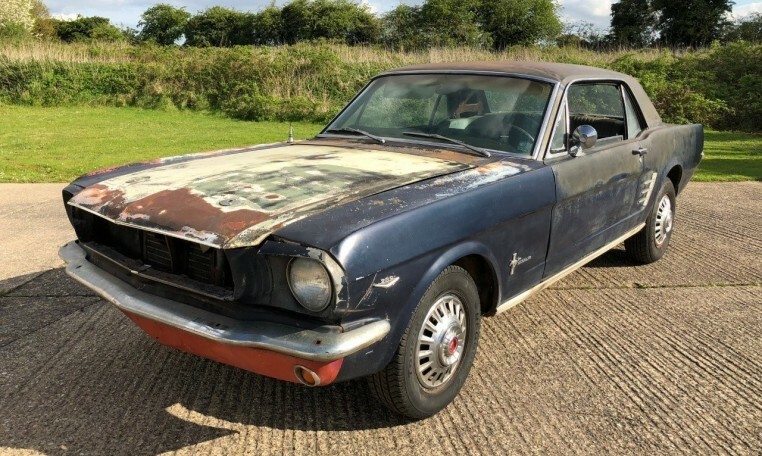 This Mustang would be ideal for a historic race car build or for full restoration.